In today’s article, we discuss how we drive traffic to our new site. You might have a blog with the most beautiful design, or have killer content in your posts, but if no one is reading your stuff, all your hard work is in vain. Given that you are just starting out, direct traffic is the best bet you have when it comes to getting any traffic at the moment. Social media platforms like Twitter and Facebook are great places to introduce your new blog. You can even tell your friends and family and have them read and probably critic your work if you are comfortable with it. Below I discuss the best long term traffic sources for your site. Most of these take time but when the traffic comes rolling all you have to do is sit back and relax. I love to optimize my blogs for search engines. This is because the content I write most of the time is the kind you read when you want to solve a problem at the time. Organic traffic is very good because it is very targeted. What this means is that the people who end up on your blog are people who are actually searching for what you have written about. Though there are a number of search engines out there, the most popular ones are definitely Google, Yahoo and Bing. Once you rank for your selected keywords, your work as far as traffic is concerned is done. This however requires that you appear in the first page of the search engine. The first three positions are the most coveted for obvious reasons; they get more clicks. It is not easy to get there though. You have to apply several strategies like keyword research, quality content as well as create quality backlinks back to your site. We just discuss more on Search Engine Optimization in our coming post. It pays to be generous on other blogs. Visit other blogs in your niche, read their posts and leave helpful comments. This not only allows you to connect with other writers, you might also get discovered by their readers. 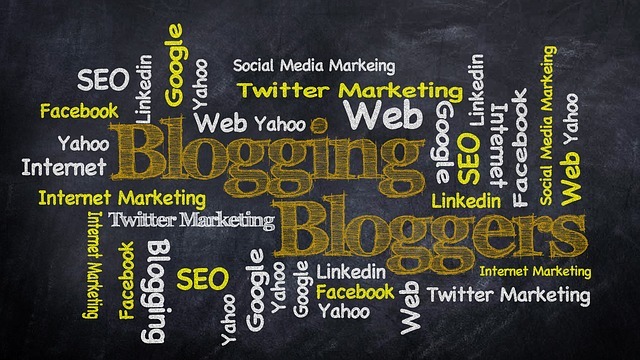 Another advantage of blog commenting is building backlinks to improve search engine ranking. Twitter, Google Plus and Facebook are great platforms for directing traffic to your blog. You might need to start a Facebook page for your blog where you will be posting links to your blog along with other helpful information. In my opinion, the content that performs the best on social media are viral stories, lists, news and entertainment articles. Submitting your articles to social bookmarking sites is a great way of gaining new visitors. Among the most popular book marketing sites are Stumbleupon, Digg, Delicious, Tumblr, Reddit and Pinterest. Thank you for the helpful information. i am a start up blogger and i hope to grow and your insights are just what i needed. keep up the good work. Hey Teddy. I'm glad you found the article helpful. Congrats on starting a blog and I hope you come to love this art. I wish you left the link to your blog so I can visit. Great info. I'm researching on blogging and this info is very helpful. I hope to make it in blogging. I'm glad you found the information helpful. All the best Ruth. Thanks for the info I have always wanted to have one but did not know where to begin with a lot of irrelevant information. I'm glad because you have broken down the steps .